Award-winning, global management consulting firm Brooks International (http://brooksint.com) has engaged Michael R. Wade, PhD, in a new advisory role. 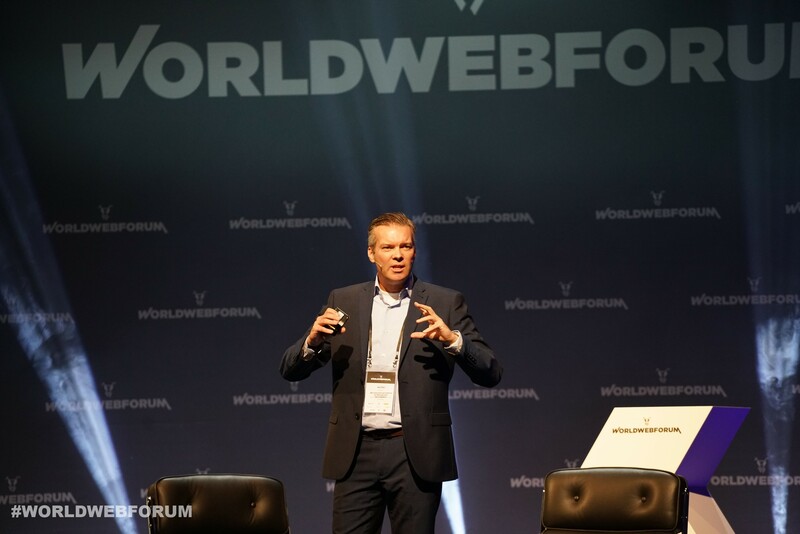 Dr. Wade is a professor of Innovation and Strategy at the International Institute for Management Development (IMD) in Switzerland and holds the Cisco Chair in Digital Business Transformation. He is the director of the Global Center for Digital Business Transformation, an IMD and Cisco initiative. His areas of expertise relate to strategy, innovation and digital transformation. 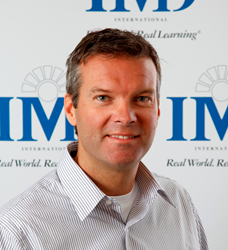 Dr. Wade has a wide network of executive-level contacts in Europe through his executive education work at IMD. He also works with top corporate teams on transformation journeys, so has a good sense of the issues that they are facing. In addition, he is one of the foremost experts internationally on digital disruption and transformation and will be invaluable as an advisor to Brooks International in this regard. As a new corporate advisor, Dr. Wade will be co-authoring informative articles and white papers with Brooks International and adding value to Brooks’ business development, operations and marketing/PR initiatives, as well as providing his expertise to Brooks International’s leadership team and on client engagements. “We welcome Dr. Mike Wade to Brooks International and look forward to leveraging his expertise in our mission to take our company to the next level, particularly in the digital space and in Europe,” said Brooks International’s Chief Executive Officer Lui Damasceno. Dr. Michael Wade co-directs Orchestrating Winning Performance, Leading Digital Business Transformation and Digital Disruption programs at IMD in Switzerland. He also teaches and has directed custom programs related to strategy and digital business transformation for clients including AXA, Cartier, Credit Suisse, Honda, Vodafone, Maersk, Richemont, NTT, KONE, Zurich Financial and PSA Peugeot Citroen. In addition, Dr. Wade provides consulting services, executive education and expert evaluations to several public and private sector organizations, including IBM, LVMH, Google and Novartis. A British and Canadian citizen, he has lived and worked in Britain, Canada, Japan, Norway and Costa Rica. Dr. Wade has published multiple works on a variety of topics, including digitization, innovation, information systems strategy, international business and subject matter expert performance. He has more than 50 articles and presentations to his credit in leading academic journals and conferences, such as Strategic Management Journal and MIS Quarterly. One of his articles was among the top-20-cited articles in business, management and accounting worldwide for five years, according to Scopus. Author of eight books, Dr. Wade also wrote more than 30 case studies based on his experience working with organizations. His latest book is Digital Vortex: How Today’s Market Leaders Can Beat Disruptive Competitors At Their Own Game. He is a regular contributor to print media on matters related to the challenges of digitization and managing within a turbulent environment. Bilanz magazine named Dr. Wade one of the top 10 digital thought leaders in Switzerland in October 2016. He also frequently appears in the mainstream media as a commentator. Dr. Wade previously was the Academic Director of the Kellogg-Schulich Executive M.B.A. Program and Associate Professor at the Schulich School of Business, York University, Canada. He was nominated for teaching awards in the M.B.A., International M.B.A. and Executive M.B.A. programs. He obtained his Honors B.A., M.B.A. and Ph.D. degrees from the Richard Ivey School of Business, University of Western Ontario, Canada. Headquartered in West Palm Beach, Fla., with locations in Canada, the United Kingdom and Europe, the award-winning, global professional services firm Brooks International delivers significantly enhanced profits and predictable business performance to Fortune 500 clients worldwide. Brooks International creates and delivers Execution Excellence, achieving clients’ strategic imperatives by linking financial and operational models, dramatically enhancing execution methods, competencies and capabilities. Brooks International delivers substantial and sustainable organizational, operational and financial improvements, specializing in execution performance capabilities across all industries and sectors. For more details, visit http://www.brooksint.com, call 561.214.8800 or connect on Facebook or LinkedIn.